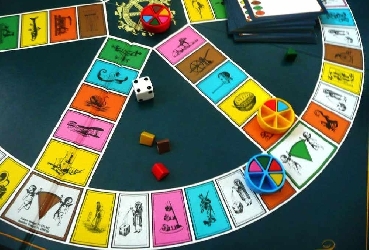 WHICH 1979 CANADIAN BOARD GAME FEATURED 6 CATEGORIES OF QUESTIONS & WEDGES? Win a LARGE Domino's Pizza....To enter, you MUST email your answer to studio@manxradio.com or text 166177 whilst the show is on air. To hear the correct answer and if you've won a LARGE pizza, tune in after 4:30pm tomorrow. Dave Wilson from Manx Blind Welfare pops in to see Alex and talks about the Donation Station and the Resource Zone!